People gotta eat and drink! Make them read something while they do. 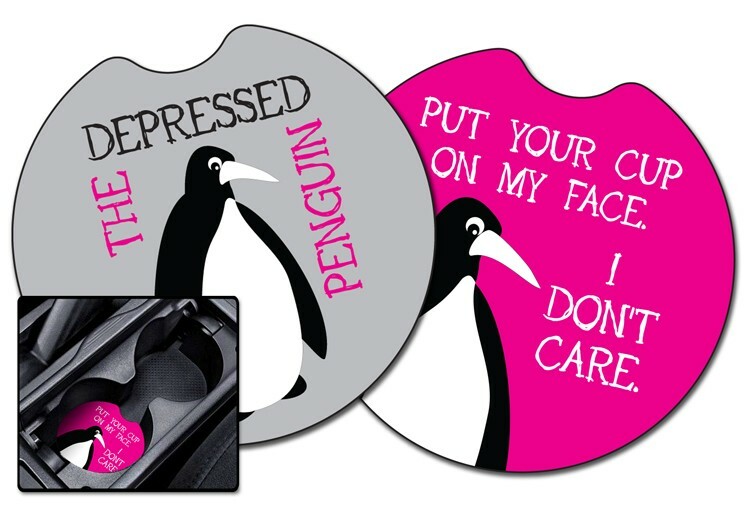 These round circle shape coasters are designed to fit easily in a car cup-holder. 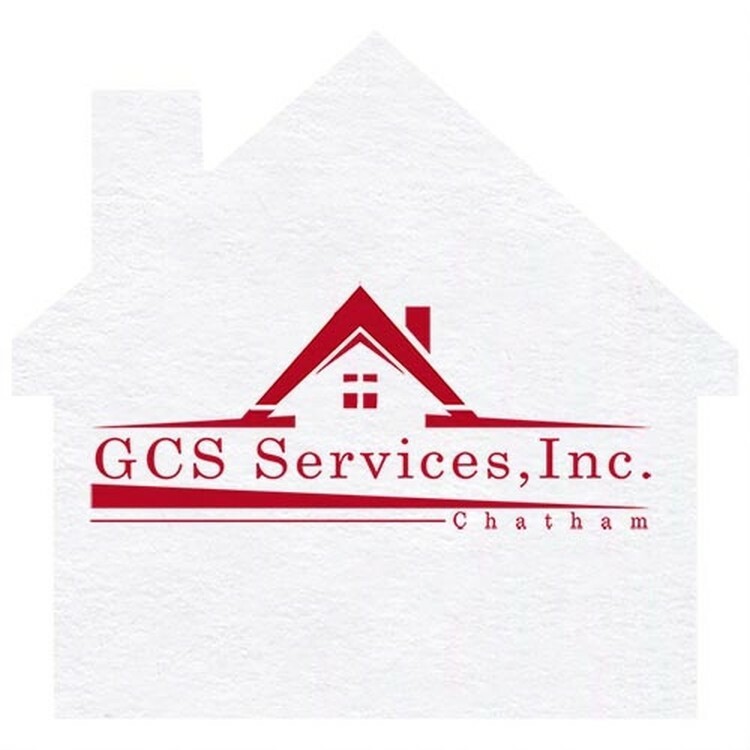 They are printed on both sides in full color on water absorbent paperboard. They''re a great way to advertise and promote specials on a tight budget. People gotta eat and drink! Make them read something while they do. 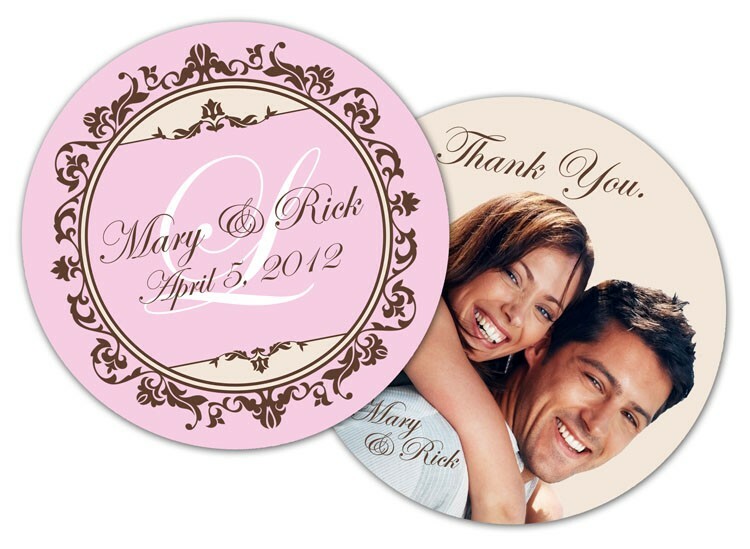 These round circle shape coasters are printed on both sides in full color on water absorbent paperboard. They're a great way to advertise and promote specials on a tight budget. People gotta eat and drink! Make them read something while they do. These round circle shape coasters have a hole in the center so that you can slip them over the top of a bottle and let people know that you''re not finished with your drink. They are printed on both sides in full color on water absorbent paperboard. They''re a great way to advertise and promote specials on a tight budget. 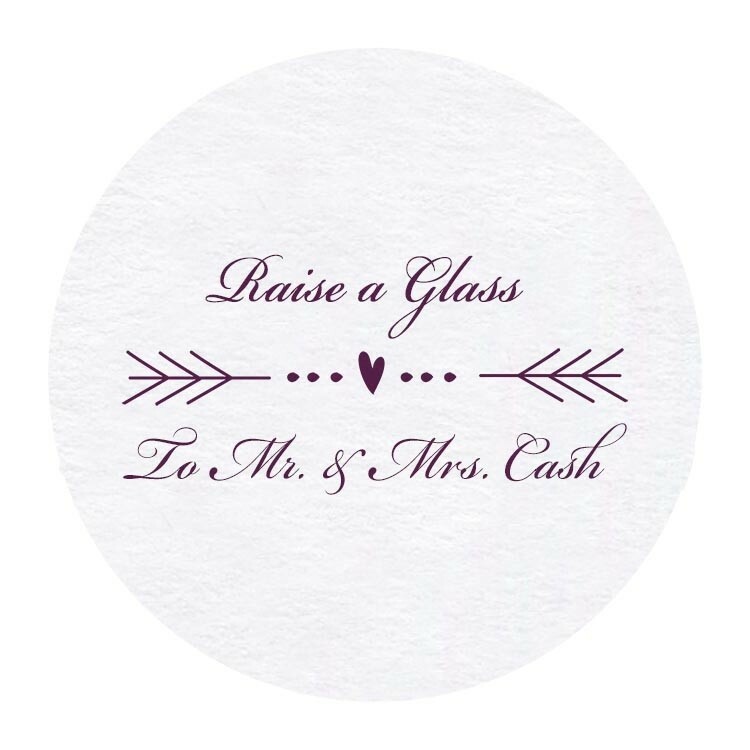 Celebrate your wedding day with personalized coasters! Great for rehearsal dinners, receptions or any get together to celebrate your special day. These round circle shape coasters are printed on both sides in full color on water absorbent paperboard. People gotta eat and drink! Make them read something while they do. These round circle shape coasters are printed on both sides in full color on water absorbent paperboard. They are a great way to advertise and promote specials on a tight budget. Promote your message while your guests enjoy their favorite wine! This white, 14 point budgetboard coaster provides many opportunities for increasing brand awareness for your business. It fits around the neck of your beer bottle! 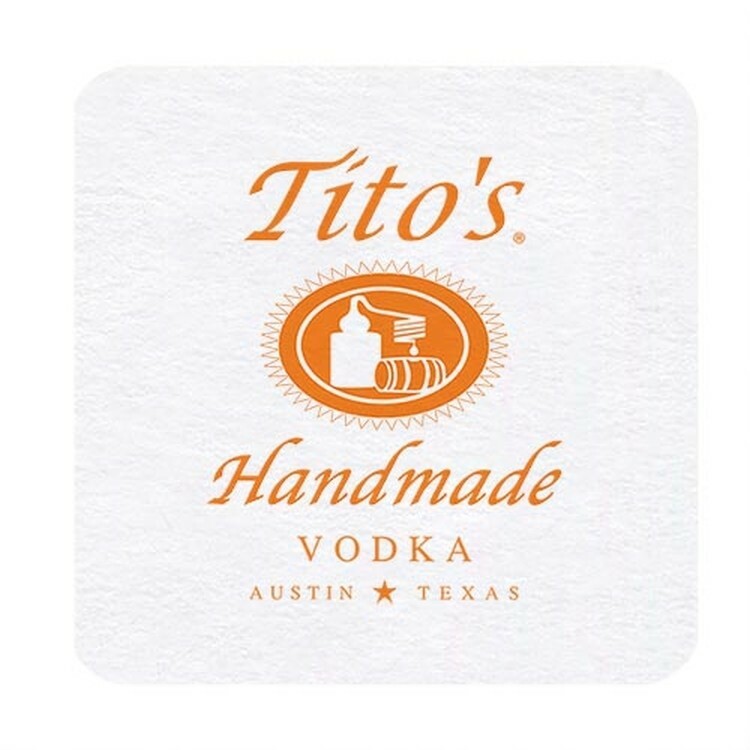 Measuring 4", this square drink accessory can be imprinted with your company name or logo then placed over your bottle to hold your place at the bar. 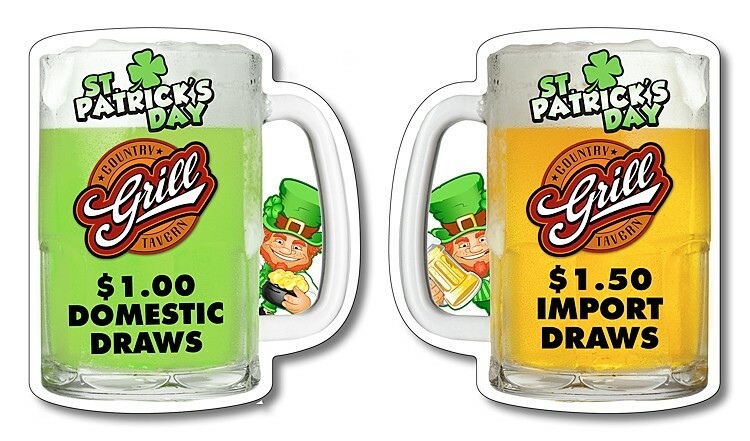 A recycled promotional product that's ideal for Brewery's, bars, party planners, restaurants and much more! Promote your message while your guests enjoy their favorite beverage! 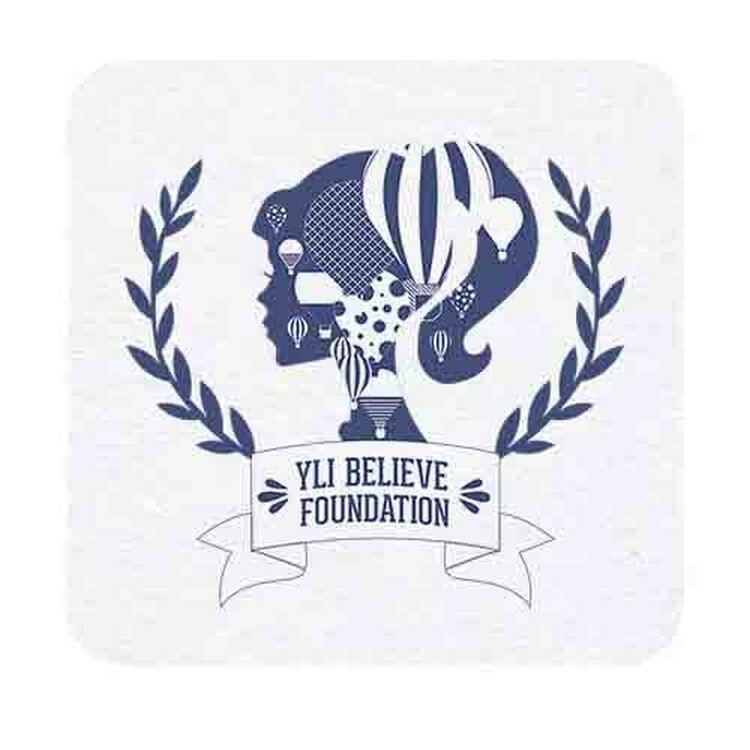 This white, 14 point budgetboard coaster provides many opportunities for increasing brand awareness for your business. 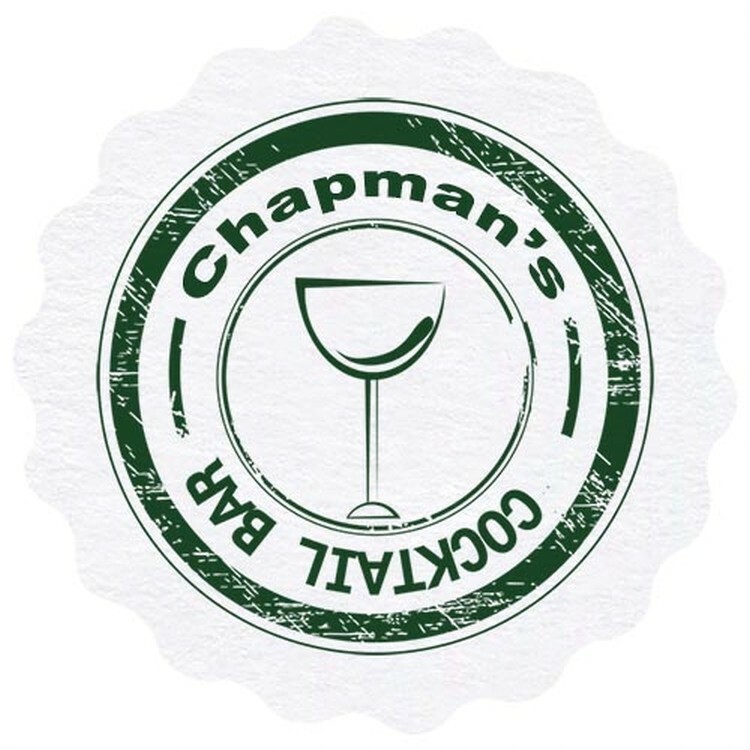 Measuring 3.625", this scalloped drink accessory can be imprinted with your company name or logo then displayed in your restaurant, pub or hotel lounge. A recycled promotional product that's ideal for catered events too! 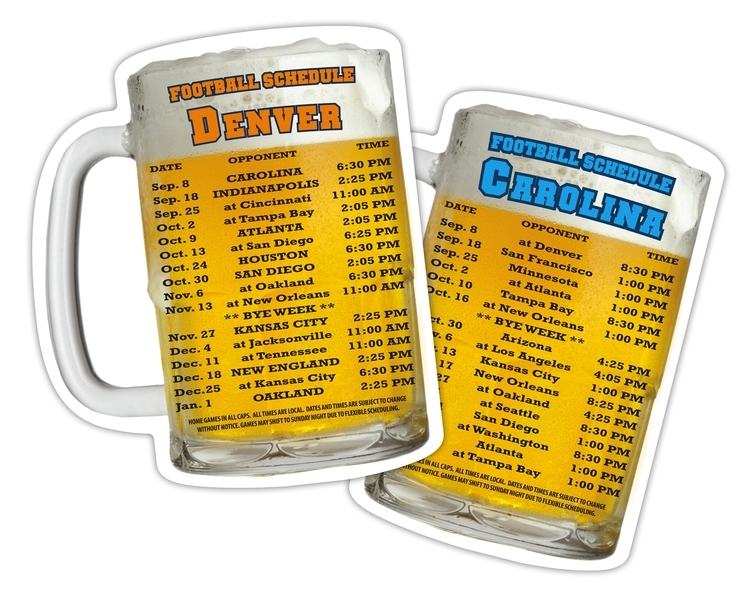 Promote your message while your guests enjoy their favorite beverage! 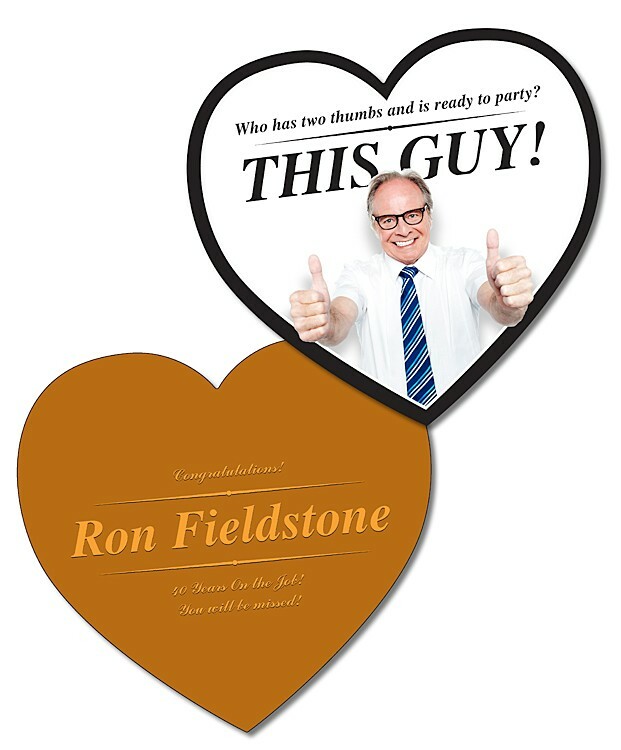 This white, 14 point budgetboard coaster provides many opportunities for increasing brand awareness for your business. Measuring 3.5", this #1 shaped drink accessory can be imprinted with your company name or logo then displayed in your restaurant, pub or hotel lounge. A recycled promotional product that's ideal for catered events too! Promote your message while your guests enjoy their favorite beverage! 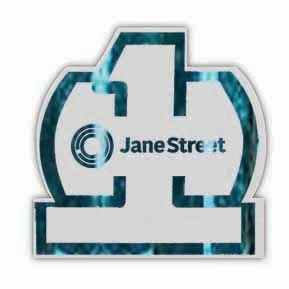 This white, 14 point budgetboard coaster provides many opportunities for increasing brand awareness for your business. 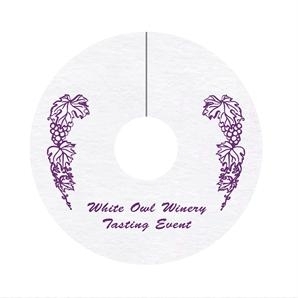 Measuring 2.75", this wine tag is disposable and can be imprinted with your company name or logo then placed placed around the stem of wine glasses at your next event. A recyclable promotional product that's ideal for wineries, weddings, and so much more! Promote your message while your guests enjoy their favorite beverage! This white, 14 point budgetboard coaster provides many opportunities for increasing brand awareness for your business. 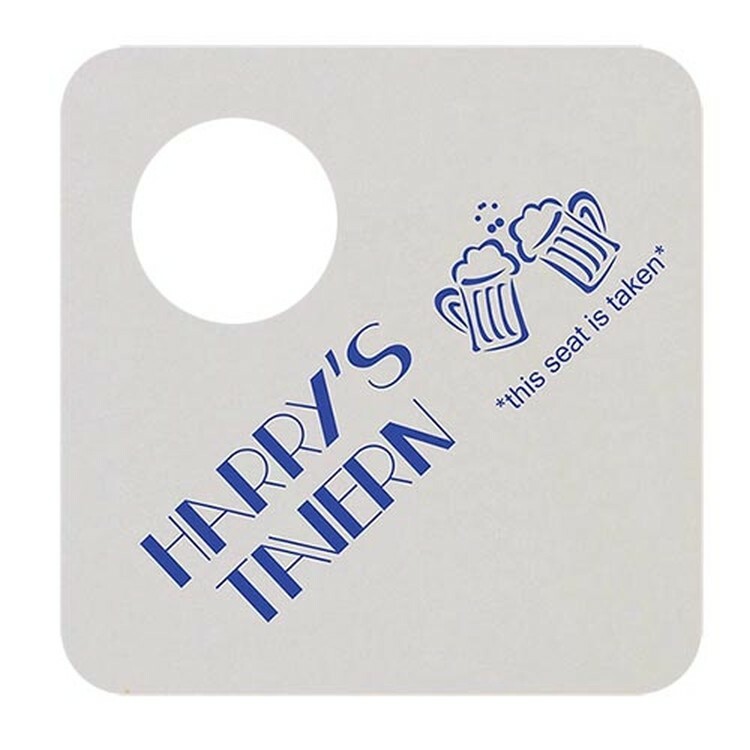 Measuring 4", this square drink accessory can be imprinted with your company name or logo then displayed in your restaurant, pub or hotel lounge. A recycled promotional product that's ideal for catered events too! Promote your message while your guests enjoy their favorite beverage! 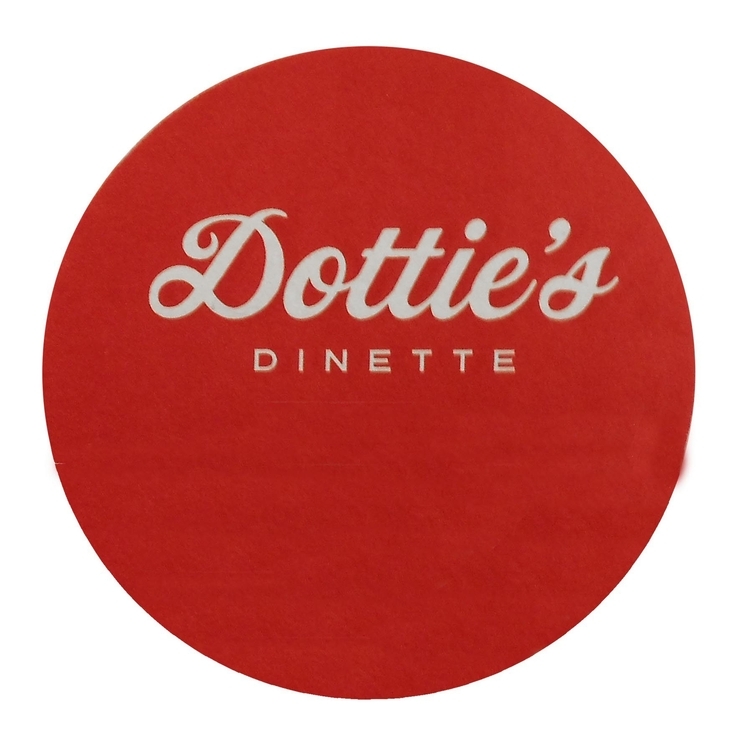 This white, 14 point budgetboard coaster provides many opportunities for increasing brand awareness for your business. 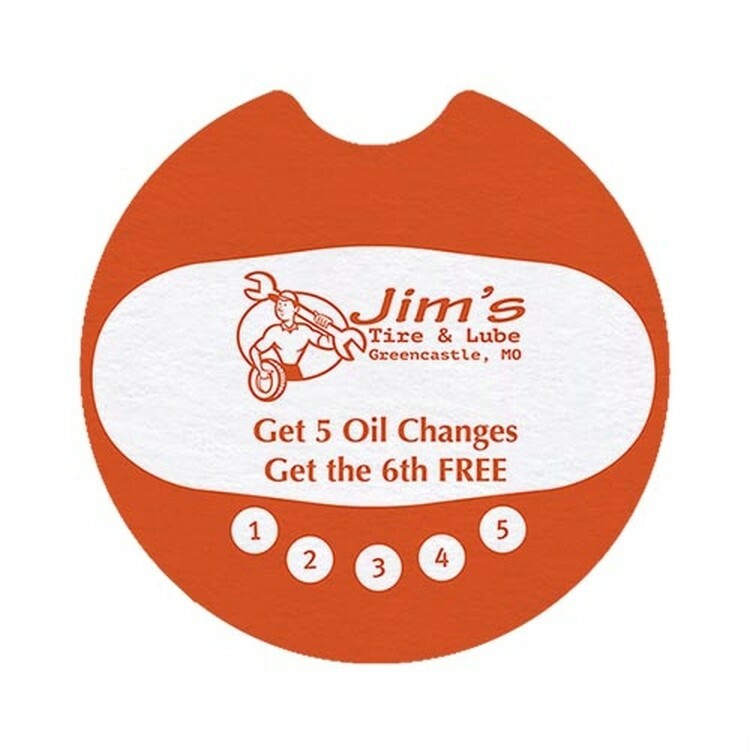 Measuring 2.5", this car coaster is disposable and can be imprinted with your company name or logo then placed in the cup holders of cars at a service station, dealership, or detailing shop. A recyclable promotional product that's ideal for events too! Promote your message while your guests enjoy their favorite beverage! 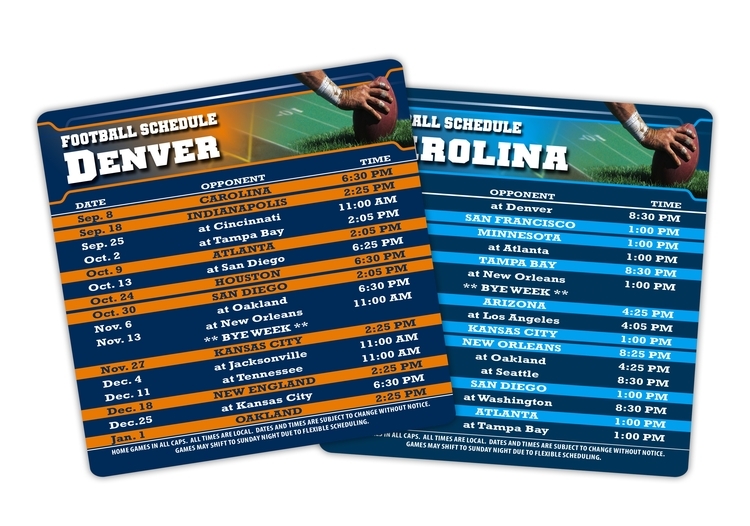 This white, 14 point budgetboard coaster provides many opportunities for increasing brand awareness for your business. 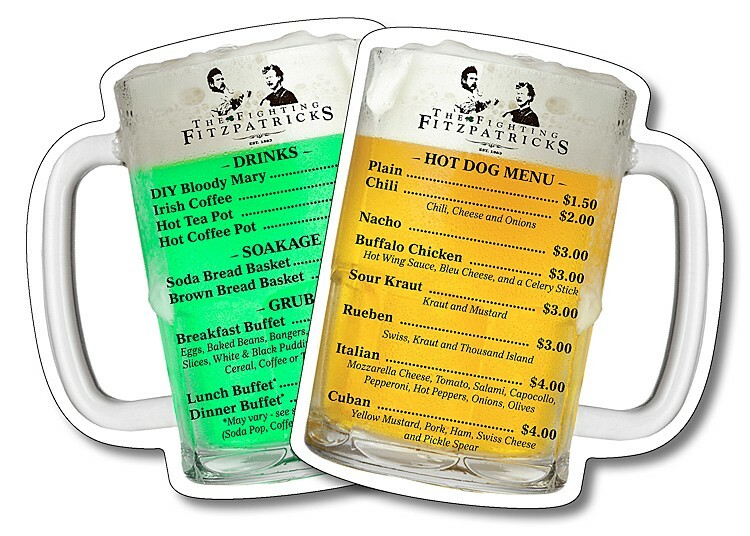 Measuring 3.5", this house shaped drink accessory can be imprinted with your company name or logo then displayed in your restaurant, pub or hotel lounge. A recycled promotional product that's ideal for catered events too! Promote your message while your guests enjoy their favorite beverage! This white, 14 point budgetboard coaster provides many opportunities for increasing brand awareness for your business. 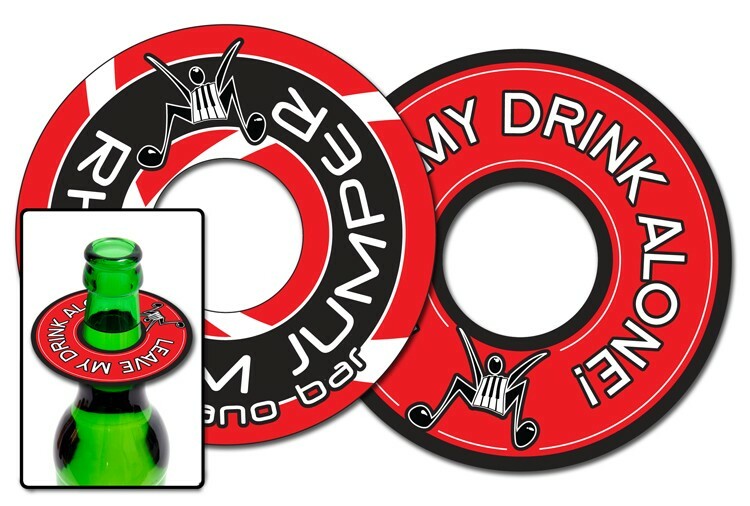 Measuring 3.5", this round drink accessory can be imprinted with your company name or logo then displayed in your restaurant, pub or hotel lounge. A recycled promotional product that's ideal for catered events too! Promote your message while your guests enjoy their favorite beverage! 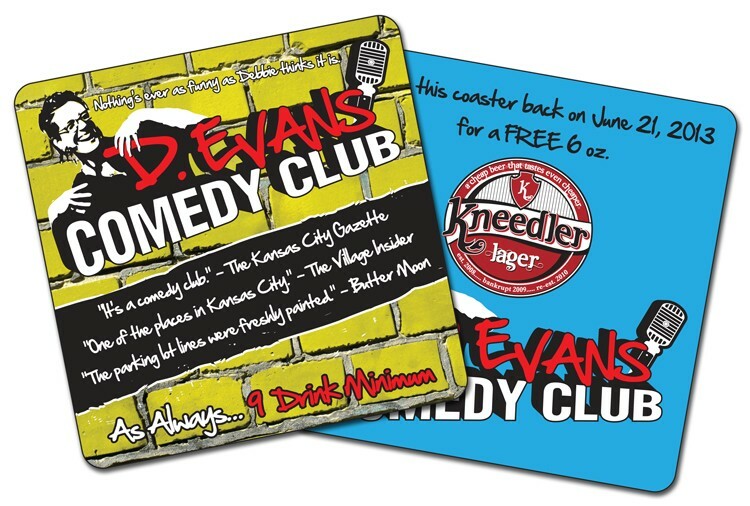 This white, 14 point budgetboard coaster provides many opportunities for increasing brand awareness for your business. Measuring 3.5", this octagonal drink accessory can be imprinted with your company name or logo then displayed in your restaurant, pub or hotel lounge. A recycled promotional product that's ideal for catered events too! People gotta eat and drink! Make them read something while they do. 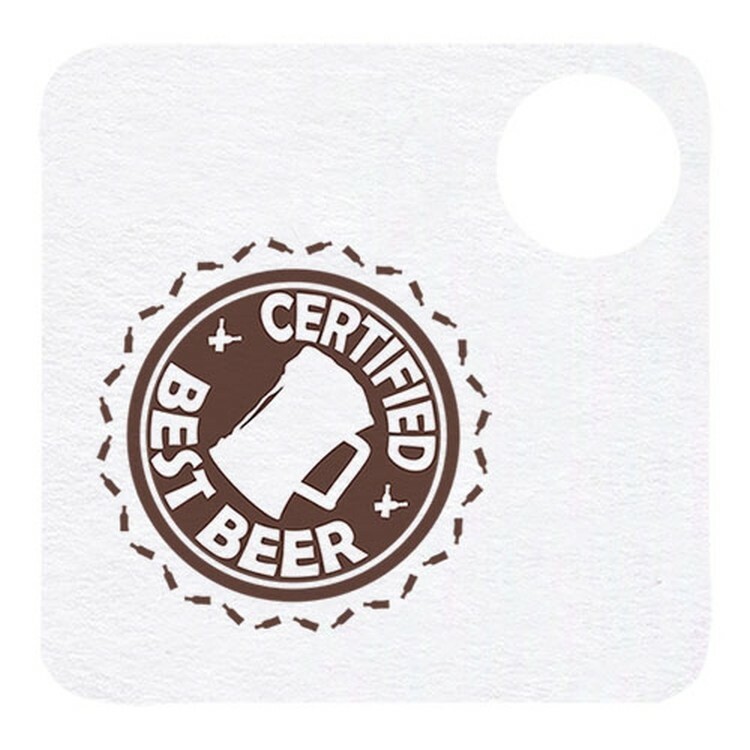 These 4 x 4 round circle shape coasters are printed on both sides in full color on water absorbent paperboard. 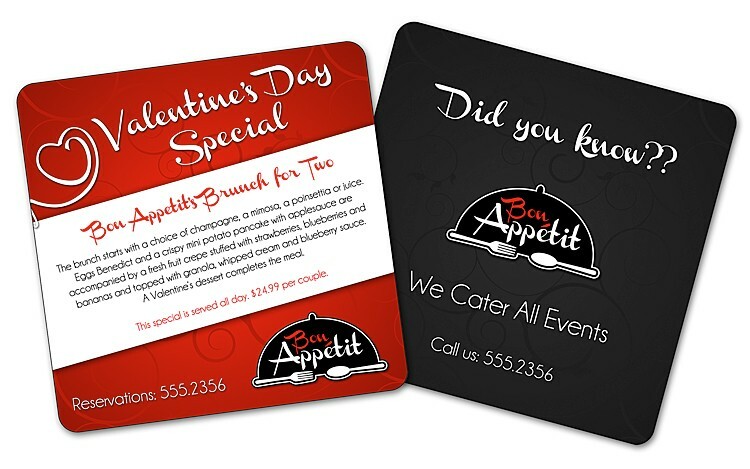 They're a great way to advertise and promote specials on a tight budget. People gotta eat and drink! Make them read something while they do. 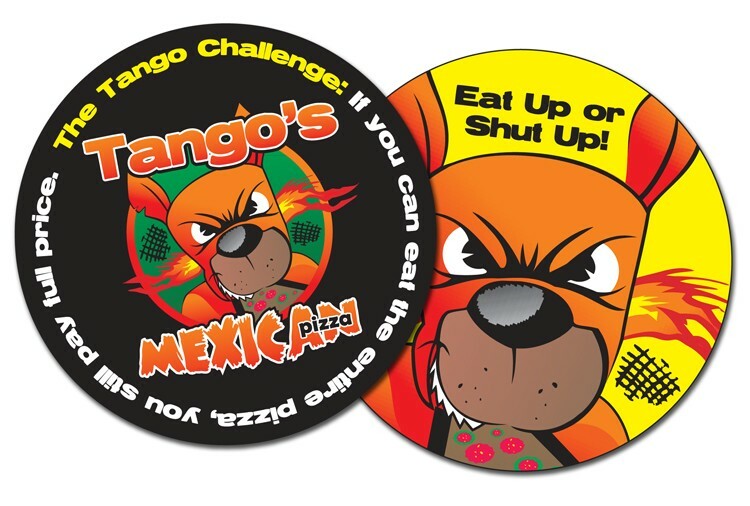 These coasters are printed on both sides in full color on water absorbent paperboard. They''re a great way to advertise and promote specials on a tight budget. People gotta eat and drink! Make them read something while they do. 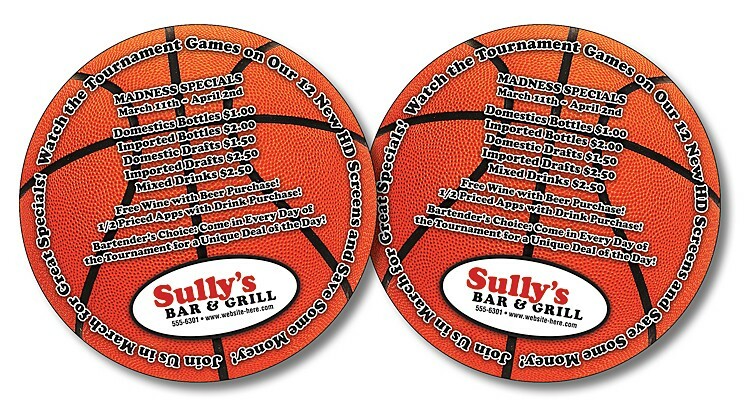 These custom-shape coasters are printed on both sides in full color on water absorbent paperboard. They're a great way to advertise and promote specials on a tight budget. 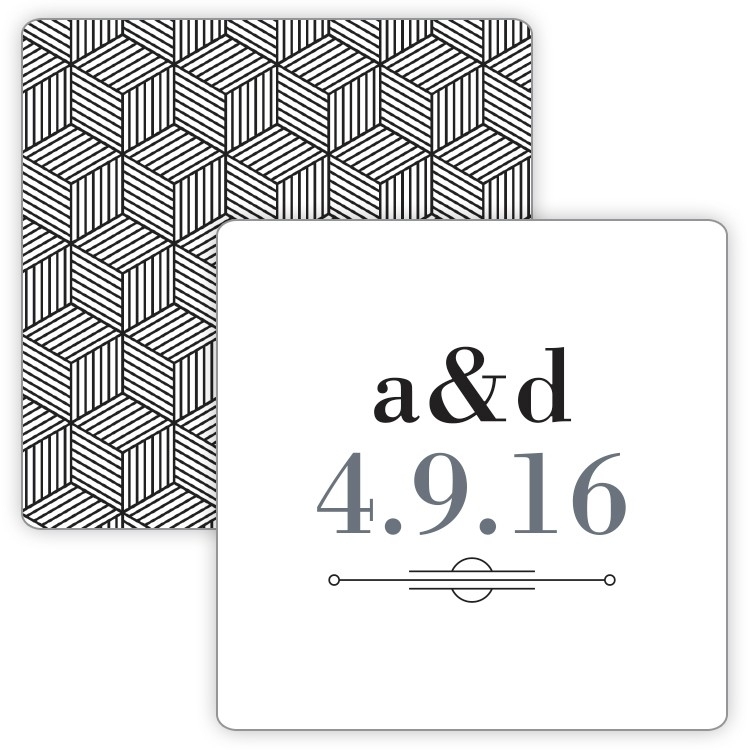 Celebrate your wedding day with personalized coasters! Great for rehearsal dinners, receptions or any get together to celebrate your special day. These coasters are printed on both sides in full color on water absorbent paperboard. People gotta eat and drink! Make them read something while they do. 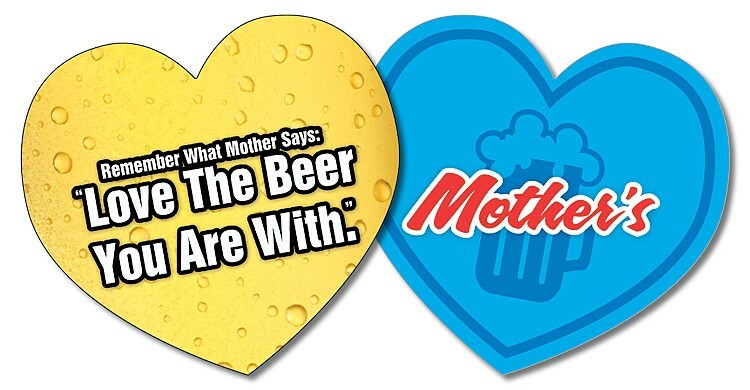 These coasters are printed on both sides in full color on water absorbent paperboard. They are a great way to advertise and promote specials on a tight budget. People gotta eat and drink! 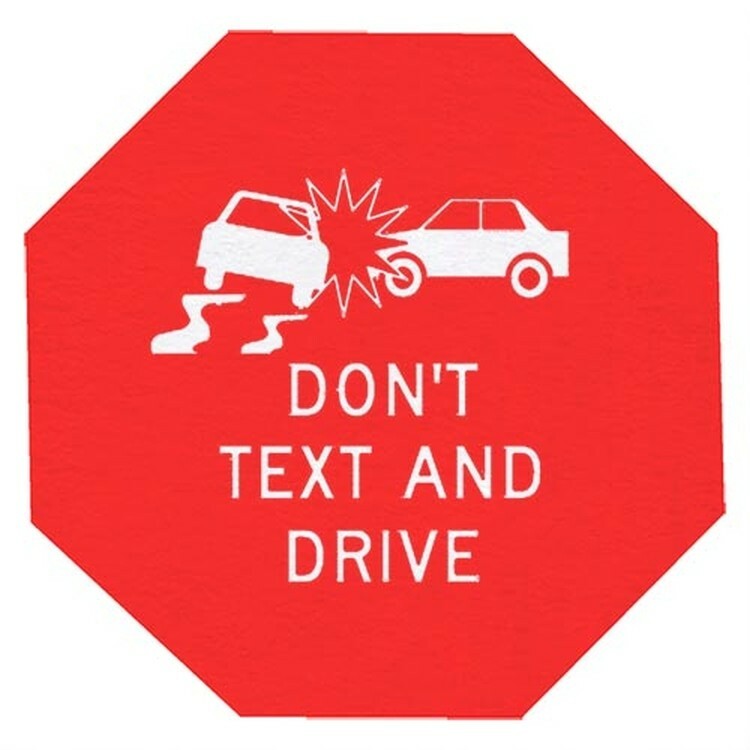 Make them read something while they do. 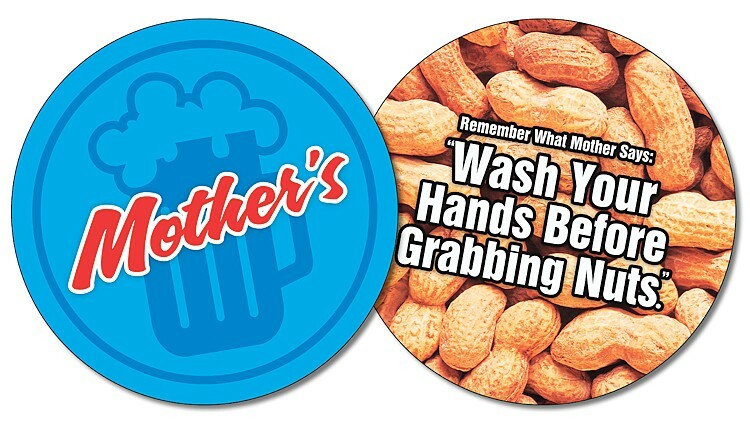 These coasters are printed on both sides in full color on water absorbent paperboard. They''''re a great way to advertise and promote specials on a tight budget. Promote your message while your guests enjoy their favorite beverage! 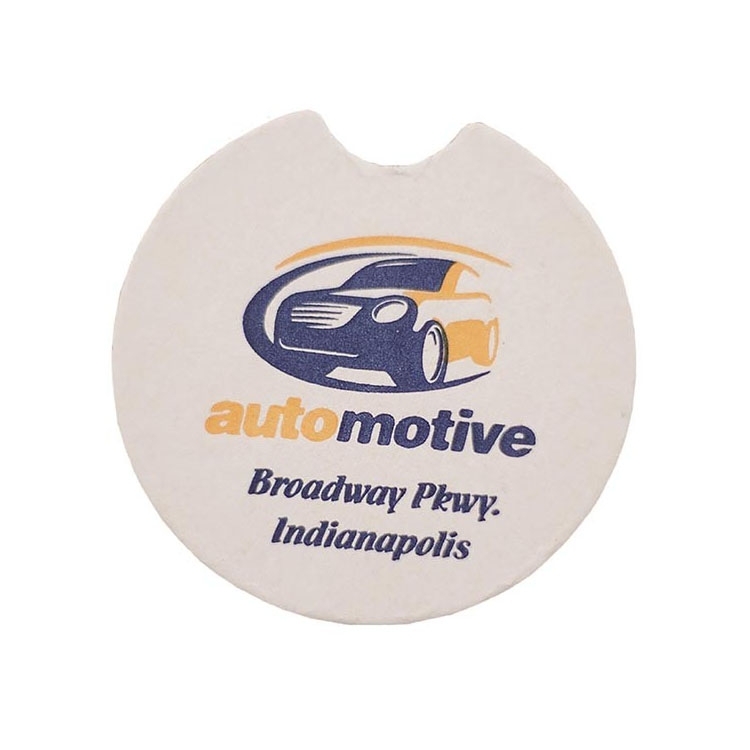 This white, 40 point high density, coaster provides many opportunities for increasing brand awareness for your business. 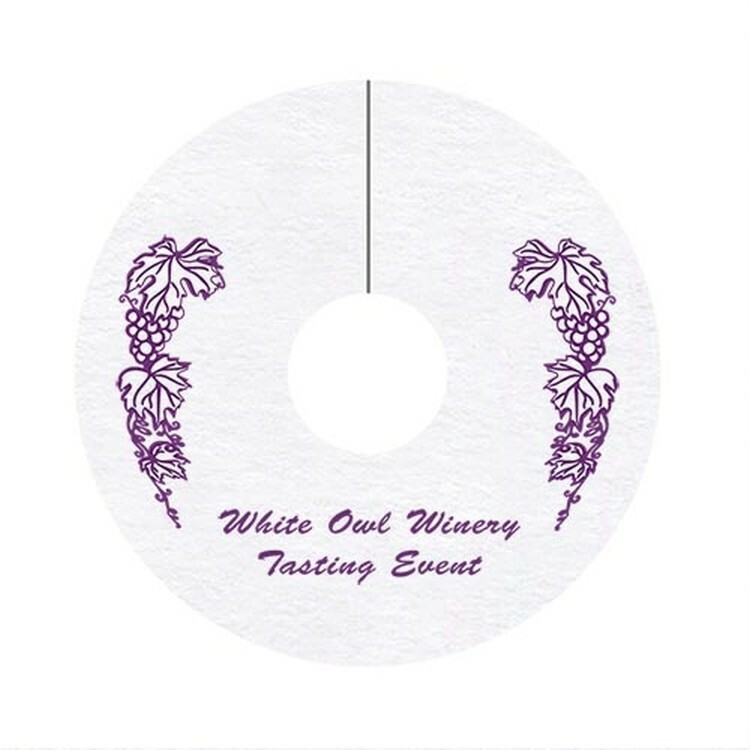 Measuring 2.75", this wine tag is disposable and can be imprinted with your company name or logo then placed placed around the stem of wine glasses at your next event. A recyclable promotional product that's ideal for wineries, weddings, and so much more! Promote your message while your guests enjoy their favorite beverage! This white, 40 point high density coaster provides many opportunities for increasing brand awareness for your business. 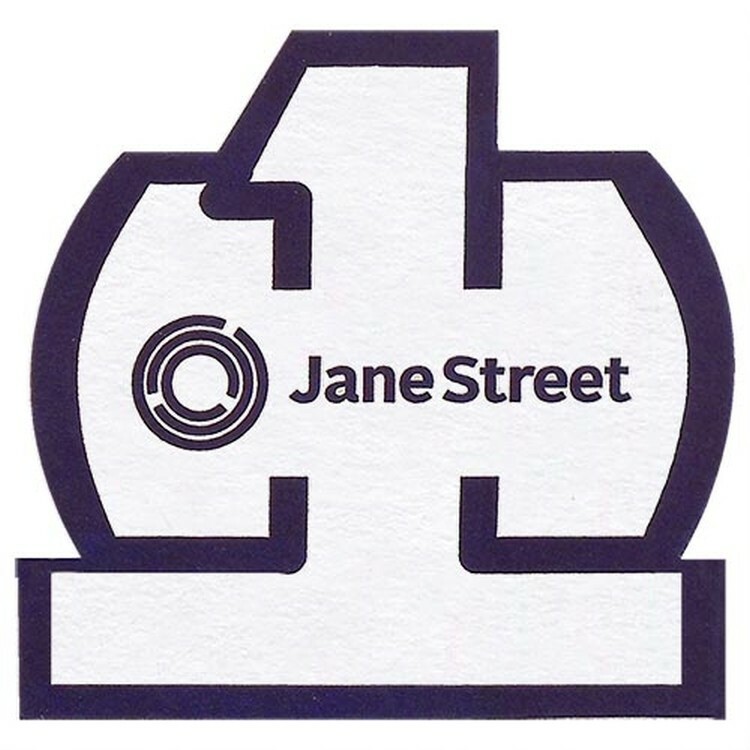 Measuring 3.5", this number 1 fshaped drink accessory can be foil stamped with your company name or logo then displayed proudly in your restaurant, pub or hotel lounge. A recycled promotional product that's ideal for museum and airport gift shops too!